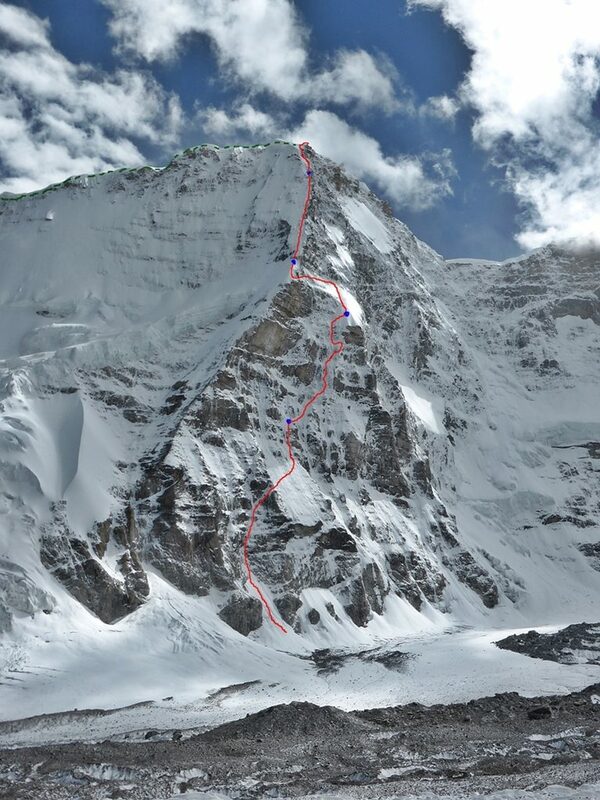 Adam Bielecki e Felix Berg aim to establish a new route on Annapurna NW Face . 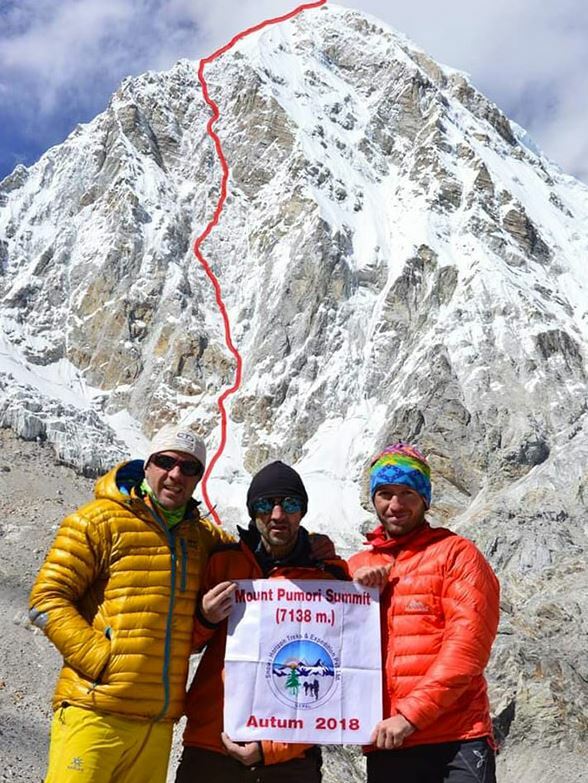 The polish/german duo is well known also for the very 1st route up Gasherbrum II West Face, in 2018. 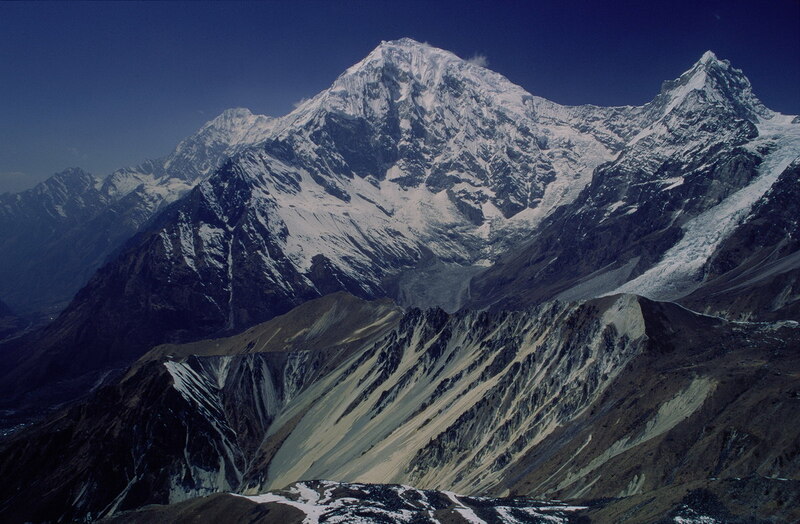 Langtang Lirung is a beatiful and technical peak,located in Langtang Himal, rarely climbed in the past. First summit by a Japanese Expedition, 1978, through dangerous Lirung Glacier and East ridge, after 8 previous attempts. Each face is a technical challenge. In 1982, an italian expedition led by the great climber Bruno Crepaz summited Langtang, but Bruno died on descent . 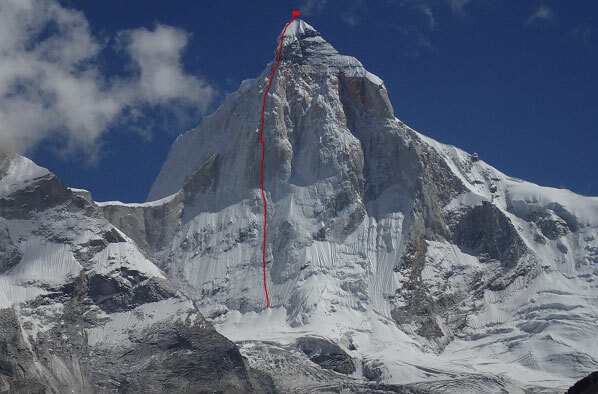 His huge 3km South Face, still unclimbed, it’s the most technical and dangerous. 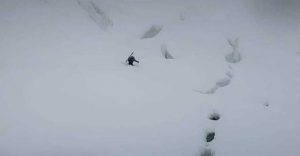 Described by an English team (*) in 1980 as a continuous ” train of avalanches through all the face channels”, the last climber who tried it was Tomaz Humar, who died on the wall in 2009 after suffering a fall, at about 6000 mt. 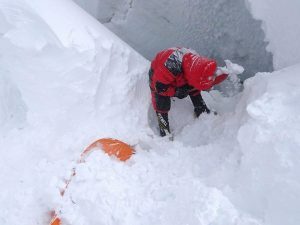 His body was found by a rescue team by heli much lower than he reported by radio on his last call, at 5600 mt . The two expedition on the K2 do not have any kind of human contact or technical exchange. A pity but it was predictable. 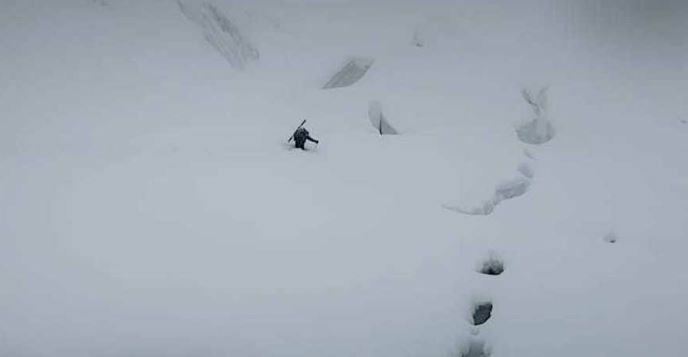 The abysmal differences in strategy, as well as cultural and personal ones, have become widely manifest in the last 20 days, when the action on the mountain has been reduced to the minimum due to the continuous bad weather. However, the Russians-Kyrgyz-Kazakhs have continued rotations between Base Camp, Advanced Base and up to Camp 2, bringing materials and maintaining a minimum level of acclimatization; moreover, unlike Txikon, they have already practically passed the Black Pyramid and have the material ready to set up the upper Camps, the C3 at about 7300 meters and the C4 on the shoulder, at about 7950 meters. Alex Txikon has chosen not to move, and not to move any of his Sherpa, even in the presence of moderate bad weather. His strategy is “save energy for when there will come the good weather”. In the meantime, he kept busy by setting up a “wall” of ice, on the principle already used to build the igloos, to protect the tents from the strong winds expected in the last days; the visual effect … is that of a military fort! The team of the Russians-Kyrgyz-Kazakhs led by Braun and Plivstov remained in action, though obviously reduced, after February 1, when the team had equipped until the 7200 meters of the Black Pyramid zone; in these 20 days, rotations were made up to C1 and a bet to C2, moreover 3 Kazakh mountaineers arrived at Base Camp, thanks to a late sponsorship. 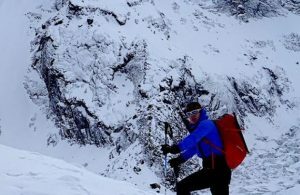 On acclimatization: “the Russians, if they think they are going to climb by the end of February – that they consider the real end of winter – they need to sleep at least one night over 7000 meters.. “. Also Denis Urubko expressed his thoughts in a similar way, and he is convinced that none of the 2 teams will manage to climb by February 28th, the end of Winter for the mountaineer of Kazakh origin. 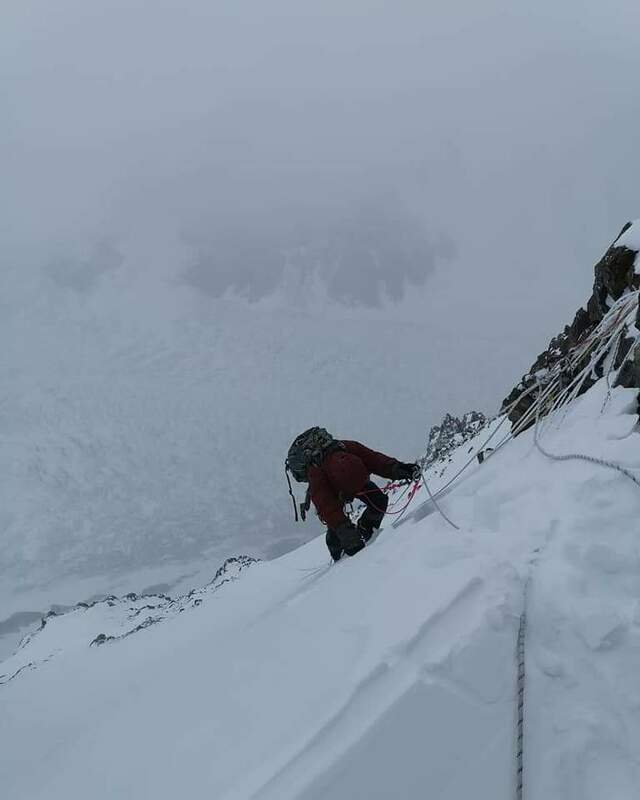 In a newly released interview, Denis said he was rather tired of 8000ers expeditions, and he think he will do three more before retiring: one at Gasherbrum II this summer to make a new route, one at Broad Peak in winter and in two years the decisive one, at K2 winter..
“The good mountaineer is the old mountaineer,” said Urubko, who in this winter has perfected himself on rock in Patagonia with his partner Pipi Cardell. In the next days is predicted a rather long window of good weather, all to be confirmed – both on K2 and Nanga, and soon we will see if there are minimal chances of success by one of the teams present ..
A brief update from Nanga Parbat: Daniele Nardi and Tom Ballard have been practically stopped for over 2 weeks at the Base Camp, except for a few run at C1 and one at C2 (5700 meters), to dig up the bag with the material. At Nanga the amount of snowfall has been considerable, even if normal for the season; above all, in the short windows of good weather, the two could not move much for the avalanches resulting from the accumulations, very dangerous right in the C2-C3 area, at the base of the Mummery Spur. In the meantime, bearers arrived with supplies of food and technical gear [the duo lost lot of material buriedby snow at Mummery bottom] , hoping to be able to climb the Mummery in speed during a good weather window. 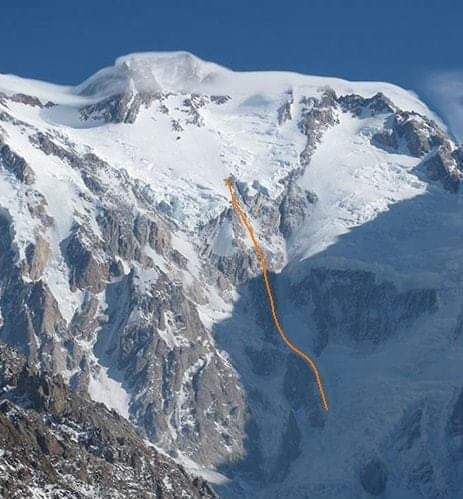 As expected and written in the previous update, Alex Txikon’s team has moved on the Abruzzi Spur route, where is already in action the Russian-Kyrgyz-Kazakh team . Although Txikon had clearly written that he would have return to check the East wall (and the way of the Americans), the day after the facts showed that he had already decided not to return there, and suddenly the Basque declared “that the mountain was discharging all the avalanches on that side [East, ndR] and that the traverse [to rejoin the Abruzzi, above 7500,ndR] was too dangerous “. 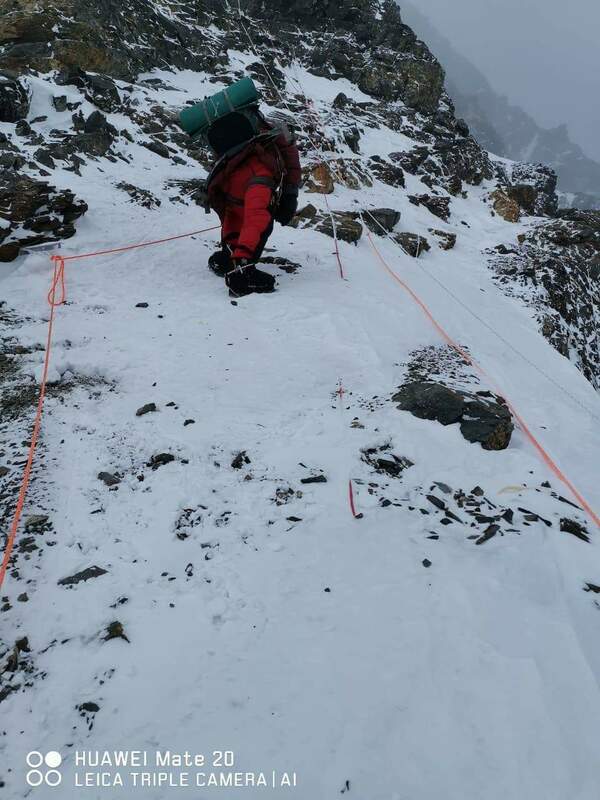 Alex’s sherpa team, and Alex himself, have equipped up to over Camp 1, parallel to the ropes already installed by the other team. The Russians have already equipped up to 6500 meters, at the beginning of the famous and technical Camino Bill. Both have stayed at C1, we will see today the conditions of … traffic on the way. 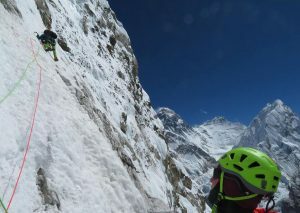 At the moment, considering the team last communications, there are no great possibilities to join forces on the “Normal” of K2: it would have been desirable, a massive set up of ropes certainly does not help an easy progression ; however we believe – and hope – for a pact between the two team leader, as for not to hinder each others, along the progression on the route – especially on the technical Bill’s Chimney and the “black pyramid” , towards the 7200 meters of Campo 3, which does not have large spaces for tents. 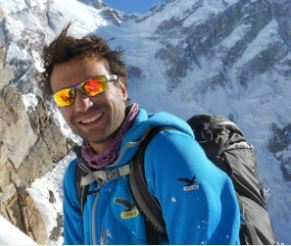 Really difficult situation, for Simone Moro, Pemba Sherpa and the 2 assistant chefs at the Manaslu Base Camp. An equally problematic situation for the Daniele Nardi team. 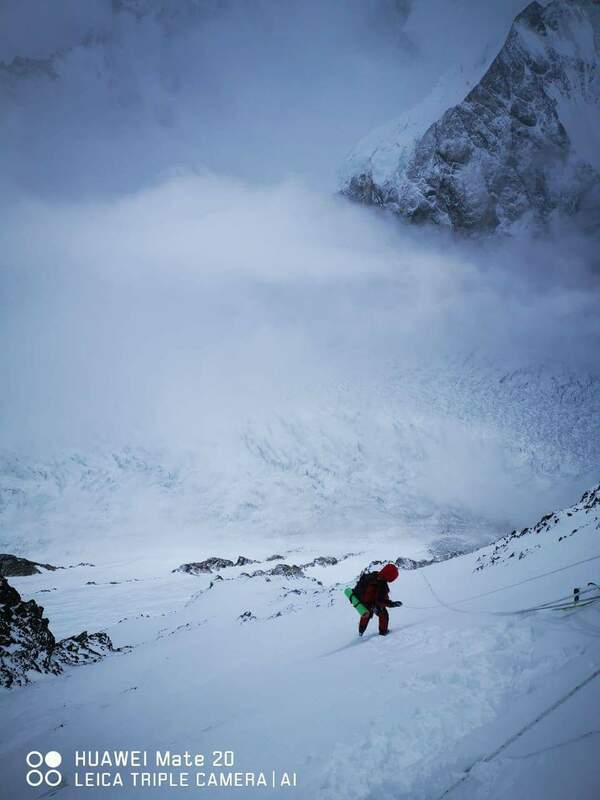 Daniele and Tom Ballard went up to Camp 2, they slept there surrounded by frightening avalanches, fortunately passed to the side; they proceeded to the C1, writes Daniele, with a huge effort causing a lot of snow; besides at C2 a tent, with a lot of material and crampons by Karim Hayat, has disappeared; Rahmat Baig is practically out of the game, he had to go down to Gilgit to treat throat problems with antibiotics but he did not get well. 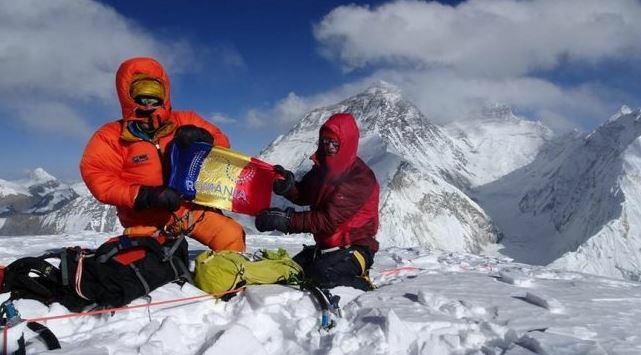 In addition, Karim declared “he does not want to die in this mountain”. 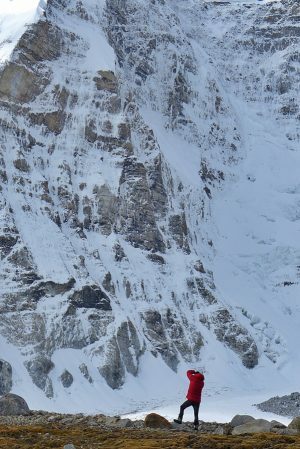 Daniele and Tom do not give up and proceed to check the conditions of C3, but will not sleep there because of the high danger of avalanches. 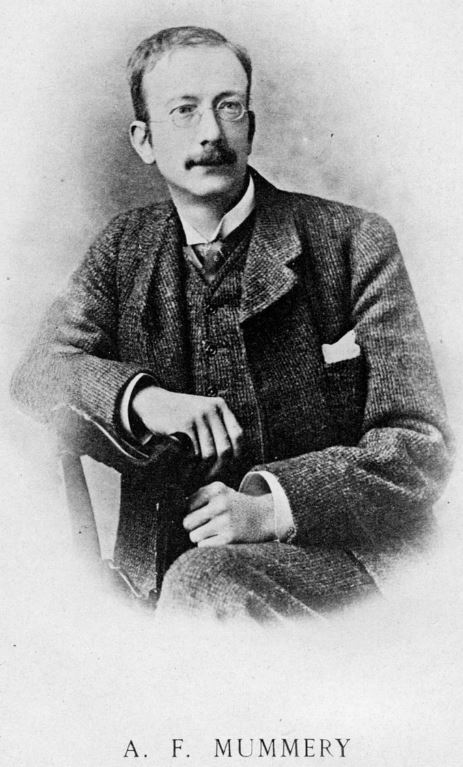 Albert Frederick Mummery, defined by Hermann Buhl (who became the first giant of the 8000 Pakistani 8000), “one of the greatest alpinists of all time”, was perhaps too far ahead of his time: his attempt, the first ever, to climb an 8000, occurred in the Summer 1895, along with 3 other British alpinists and 2 carriers. A small team, “by fair means” (with loyal means), a forerunner of the alpine style. 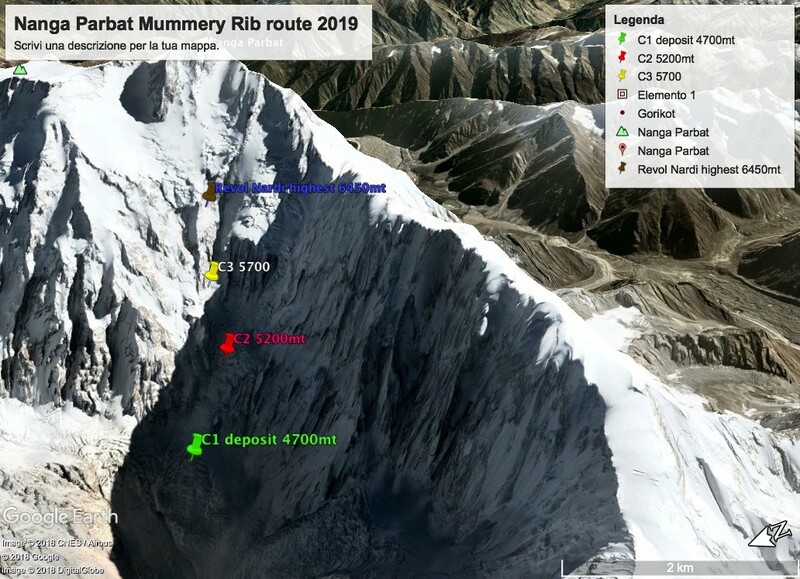 Mummery first attempted to climb along that central Spur, apparently reaching the 6100 meters, and then disappearing forever, together with the porters, in an attempt to transfer along the Rakhiot slope, to look for another access to the mountain. To him is dedicated the name of the dreamed route, almost “plumb”, which rises above the Diamir glacier, and that climbs along a formidable rocky spur – the Mummery Spur or Rib, indeed – up to almost 7000 meters, where horrendous and gigantic seracs mark the passage on the Basin, that is the huge and crevassed plateau that finally leads to the “summit trapezoid” of the Nanga, last 1000 meters before the summit. 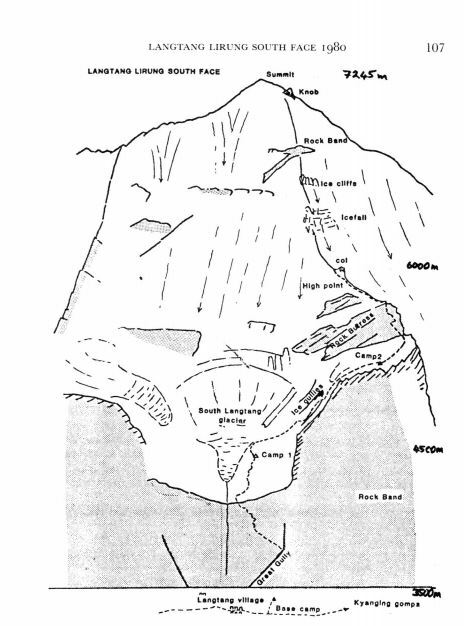 No mountaineer – except the Messner brothers, forced to descend along the spur or in its immediate vicinity, in the terrible crossing subsequent to the climb that led them to the summit up to the Rupal wall; place where Gunther found his death , almost arrived at the base on the glacier, killed by an avalanche, at the end of June 1970 – no mountaineer has ever tried that line, considered suicide for the terrifying funnel of avalanches, looming seracs , the difficulty even to just access to the Spur, because the horribly crevassed glacier. 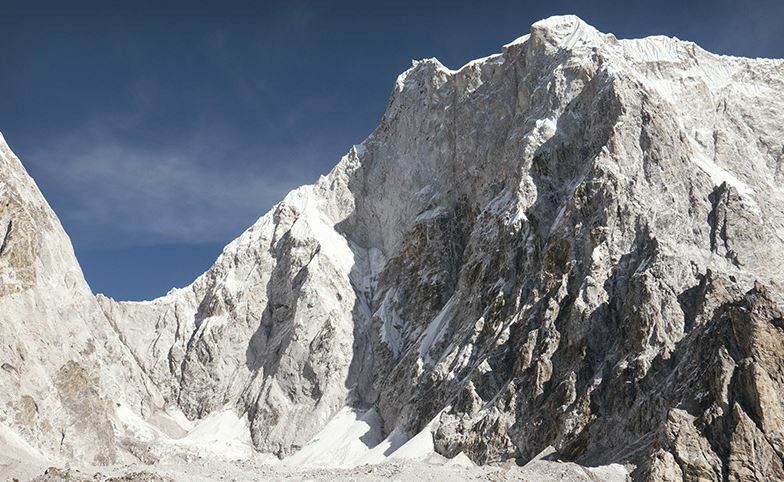 Reinhold Messner has always spoken of the potential route along the Spur as impossible and suicidal, a line “that does not lead anywhere”, full of objective dangers. Messner declaration is understandable also in the light of what he felt on that wall and for the obvious presence of objective dangers: the constant breaking of the hanging seracs, with consequent discharge of avalanches, testified also in the beautiful video, directed by Francesco Santini, product by Daniele Nardi, “Toward the Unknown”. The hope of Nardi is that in winter the extreme temperatures reduce these discharges and that along the Sperone there is an area – rather narrow and random – where to climb without being excessively exposed. 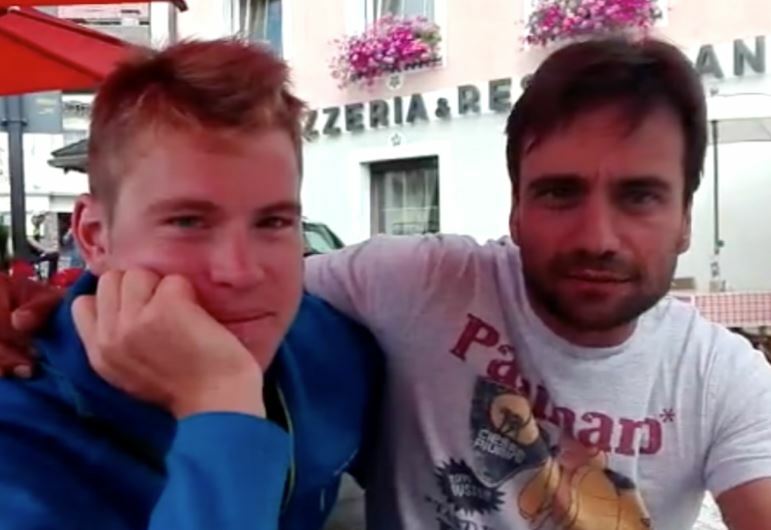 No one except the Italian alpinist Daniele Nardi, this is 5th attempt on this path. Daniele Nardi and Elizabeth Revol are the only “team” that has reached the highest point on the Mummery Spur, at about 6450 meters in 2015. Since then, other attempts have always stopped before, partly because Nardi has no longer found any companions willing to risk along that route: the same Elizabeth Revol, together with Tomek Mackiewitz, refused to join Nardi, both for the delay in the arrival of the italian alpinist at the Base Camp, both as because they had already begun the attempt along the route Messner Eisendle: the route that the two completed last year, at the very high price of the death of Tomek and of the freezing and loss of Elizabeth’s feet toes , also she was rescued from Urubko, Bielecki, Tomala, Botor who were engaged in K2 – they rushed, with great courage and humanity, to try to save the two ; an attempt that ended with the recovery of the Revol at 6100 meters just above the Kinshofer wall and with the impossibility of trying to climb over 7000 meters where Tomek stopped, killed by a probable cerebral edema. 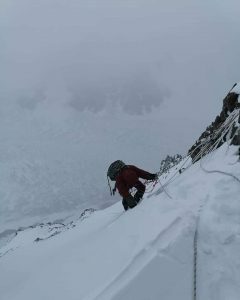 This year, finally, Daniele Nardi has managed to form a team of 4 climbers for the challenge to the Mummery: himself, the Pakistani mountaineers Karim Hayat, Rahmat Ussain Baig and the very strong young Tom Ballard, English alpinist already able to climb the 6 North of the Alps in winter and alone, 26 years: Cima Grande di Lavaredo, Pizzo Badile, Matterhorn, Grandes Jorasses, Petit Dru and Eiger. 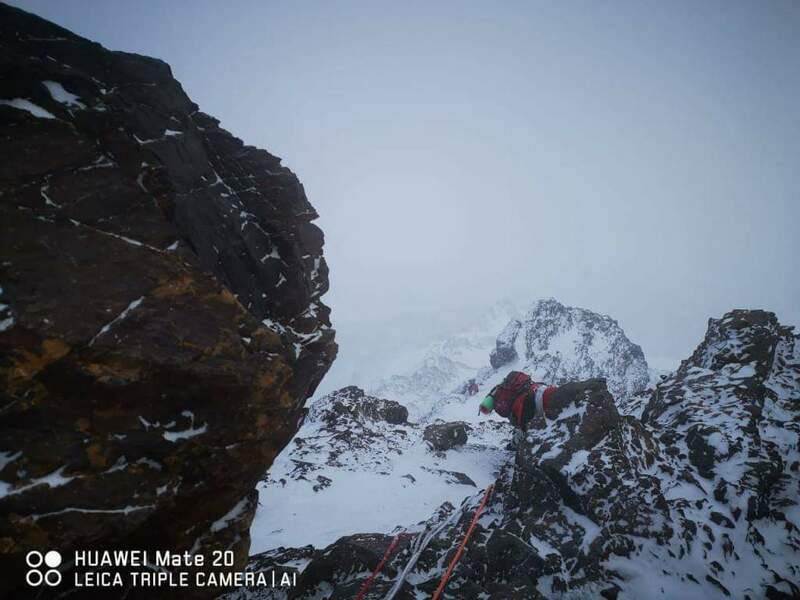 In the first 10 days of shipping, the team showed a formidable harmony and managed to set up 3 camps, the c1 at 4700 meters as a storage depot, the c2 at 5200 meters towards the glacier exit, and the c3 inside a crevasse, at the base of the actual rocky spur at 5700 meters. 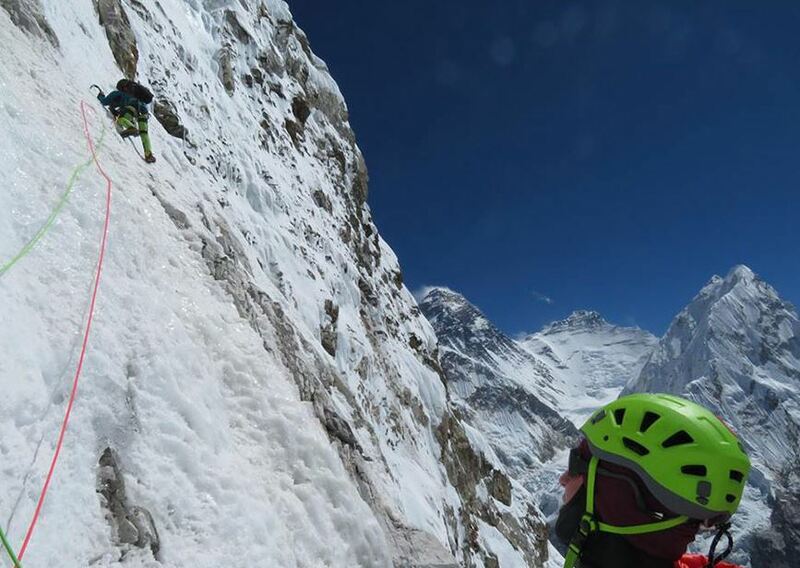 In the next days the expedition will face the real rocky wall.